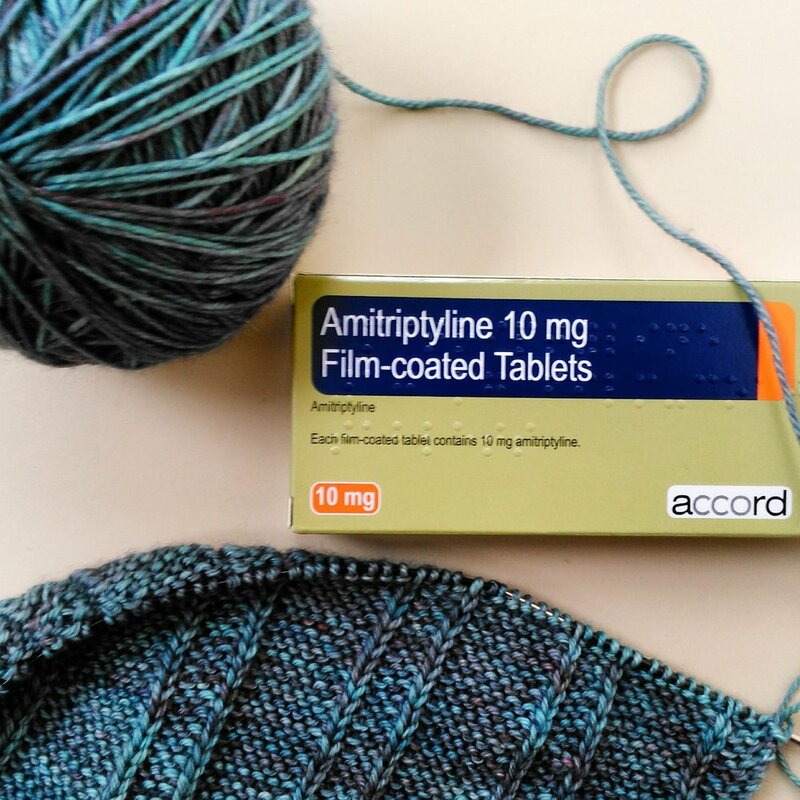 Back in October my GP prescribed Amitriptyline for my frozen shoulder. The freeze was so severe; cortisone injections proved useless and the only thing that made a dent in the pain was the TENS machine. But even with that on 24/7 I wasn't sleeping properly and it didn't seem ideal to continually wear the machine, especially at night. At the time I didn't care about the potential side effects - I was sleeping for the first time in over 6 months and the pain was manageable. Fast forward 8 months and I do care about the side effects. Even though the dose is too low to have any antidepressant properties, it still carries all the usual side effects. I got seriously fed up with being so groggy in the mornings, and not being able to fit into my clothes. And so at the end of April I came off the pills. The pain in my shoulder is a lot less - I'm well and truly into the thawing stage and have gained some range of movement back. And I've gone from getting 10 solid hours of sleep to about 3 to 5 hours (which is pretty standard when I'm going through an insomniac phase) . The lack of sleep is familiar ground but it's tough - any chronic insomniac can tell you of the toll it takes on day to day living. And like any chronic insomniac I've tried just about everything to get a normal sleeping routine back, with very little success. I've often tried relaxation or hypnotherapy MP3s but while they may help you get to sleep, they don't help you stay asleep. Recently though I discovered an app which actually does kinda work. Not every night; I only have to have a couple of glasses of wine and I'm seeing 3am again. But other nights I manage to sleep through until 6 or 7 am, which is bloody marvellous. It's going to take time adjusting. I'm working on losing the excess weight before my black dog completely takes over (I've always thought it a perverse thing that AD meds have a side effect of weight gain.... it's pretty counterproductive for anyone with self-image issues). I want to be able to relax enough in the evenings without having a glass of wine, which should in turn help my sleep. Pain management is mostly looking after itself (thank you, TENS machine - you were the best discovery ever). But in the meantime, expect more blog posts or knitting in the wee hours.